We here at Cranky Carls farm, have a philosphy that it is possible to raise healthy, chemical free food at an affordable cost to you and your family. The Large Black Hog is a Heritage Breed, kept from extinction by small farmers raising pork for their families. In so doing they cared about what they ate, and therefor, over the years and continue breeding and pasturing, you have a pig, that is so gentle and calm, that grazes, and gets great flavor from the pastures they graze on. 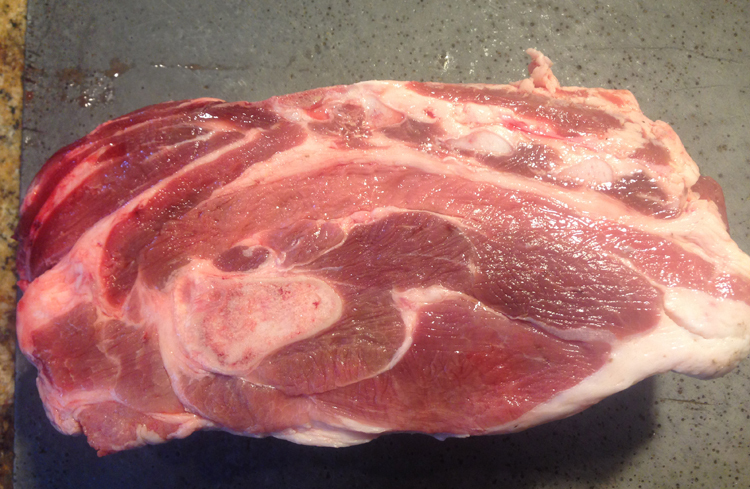 The large black is a darker pork with a short muscle fiber that makes it more tender. Also, studies have shown that the more high strung an animal’s temperament, the more likely his meat will be tainted (an off taste) from stress hormones. This easy going breed does not get all worked up. Less Stress, creats Better Meat. A low stressed animal is always going to be healthier, easier to raise, and easier to handle. Finally, the FAT, yes, Fat.....The Large Black is known as a dual purpose pig, Meat and Bacon. Their long bodies, and higher fat content, give more bacon per pound, than a more lean production pig. In addition, The Large Black Hog is a slower growing hog, butchering typically at 10 months to a year around 300 to 350 lbs. The slower growth and the ability of this breed to grow on pasture allow the meat to micro marble throughout the enitre pig. Roasting, BB Qing, and frying Large Black Pork actually melts the fat into the meat, creating a self basting meat that is so moist, flavorful and mouth watering, you will never buy the GRAY PORK from the grocery store again. The Red Wattle hog is listed on the ALBC Conservation Priority List as being critically endangered meaning there are fewer than 200 annual registrations in the U.S. and estimated to have fewer than 2,000 individuals of this breed globally. Gloucestershire Old Spot pigs are listed as critically endangered by the American Livestock Breeds Conservancy. Along with the Red Wattle, they are the rarest pig breeds that Heritage Foods sells. Originating in the Berkley Vale of Gloucestershire during the 1800s, the GOS was bred to lounge around in the orchards of England, where its sole responsibility was to clean up fallen fruit. The breed became rare after World War II, when the shift to intensive pig production reduced interest in grazing pigs. Due to its supreme laziness, GOS meat is very delicate – even its fat is edible and milky. Old Spots carry a distinct layer of backfat and marbling within their meat, making them the bacon pig of choice for many. Nothing has been added to this meat. Doesn't that look amazing?!!!! Shoulder Roast of a Large Black Hog, click to enlarge. You won't find meat like that in the market! Pork is from Heritage Hogs, Large Black Hogs or Red Wattle Hogs, fed alfalfa, and peas and pastured during the summer months, plus organic mineral supplements. All meat offered here is chemical/nitrate free, except where indicated. Cured smoked Hams and Hocks are available with or with out Nitratres. Nitrate meat is less than 2% nitrate content. Sausage is available nitrate free, but does have minimal amount of msg. 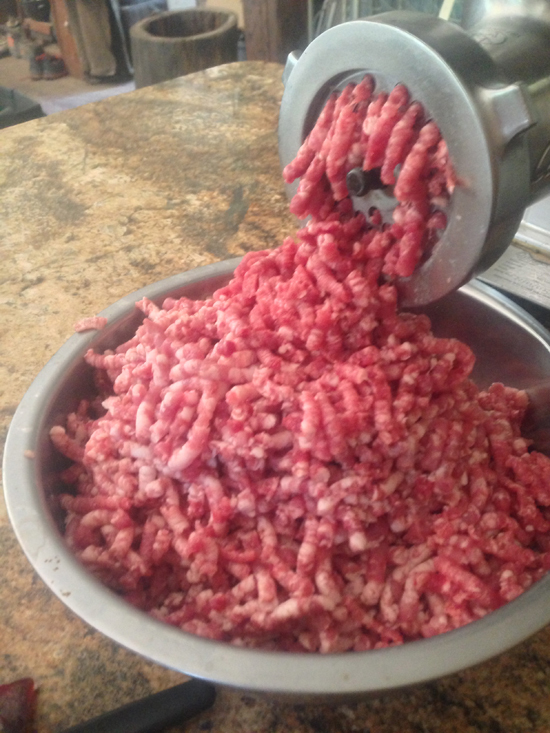 We suggest you purchase ground pork, chemical free, and make your own sausage: Recipees are on our recipee pages. We are working hard with advocates to get an approved label for our nitrate free, garlic, molassis, fruit brine. We are happy to share this recipee with you. 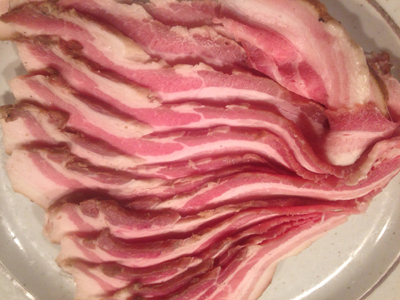 We suggest you buy your hams, uncured, and cure and smoke yourself. The same applies to the smoked bacon.